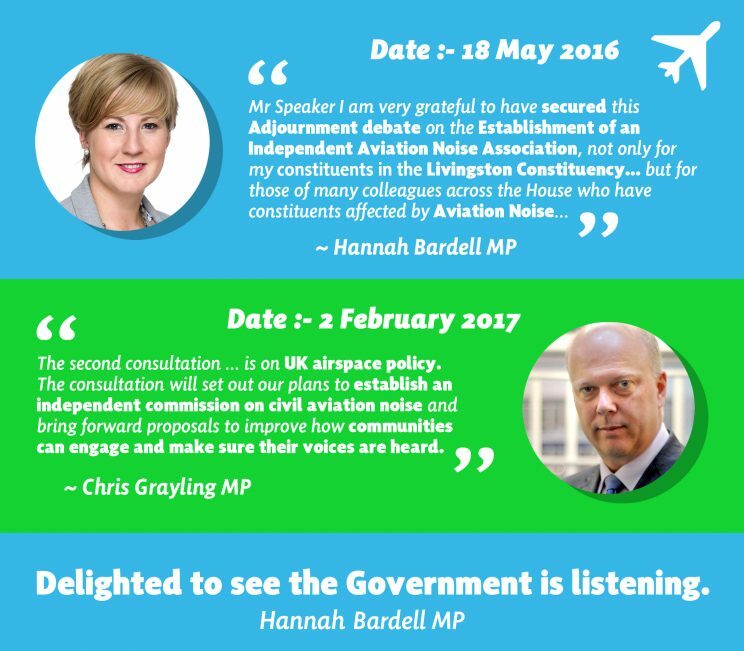 Hannah Bardell has welcomed a ‘big win against noise pollution’ as the UK government has confirmed it plans to establish an Independent Aviation Noise Authority (IANA), following calls from the MP. Ms Bardell has campaigned for the establishment of an IANA since her election in 2015, holding debates and pressing Ministers, after the Edinburgh airport flight path trial highlighted the failings of the Civil Aviation Authority (CAA). The Flight path trial over Ms Bardell’s Livingston Constituency showed that the CAA guidelines and the communication framework for airports to consult on flight path changes were in need of serious review. “This is a big win for the SNP at Westminster and shows how effective our pressure has been on this issue. Early last year I held a debate in Westminster on the establishment of an IANA and have since been lobbying ministers to create this body. “It is welcome news that the UK Government have listened to my calls for an Independent Aviation Noise Authority and I am pleased to hear they will be consulting on the creation of an IANA. The proof of course will come with a proper Authority with real power and investment being established. ‘’It is vital that an independent body is created to ensure local communities like mine can effectively engage and have their voices heard. Equally, it’s vital that airports understand what is expected of them and have a proper framework to work within. "Primodos - The Secret Drug Scandal"